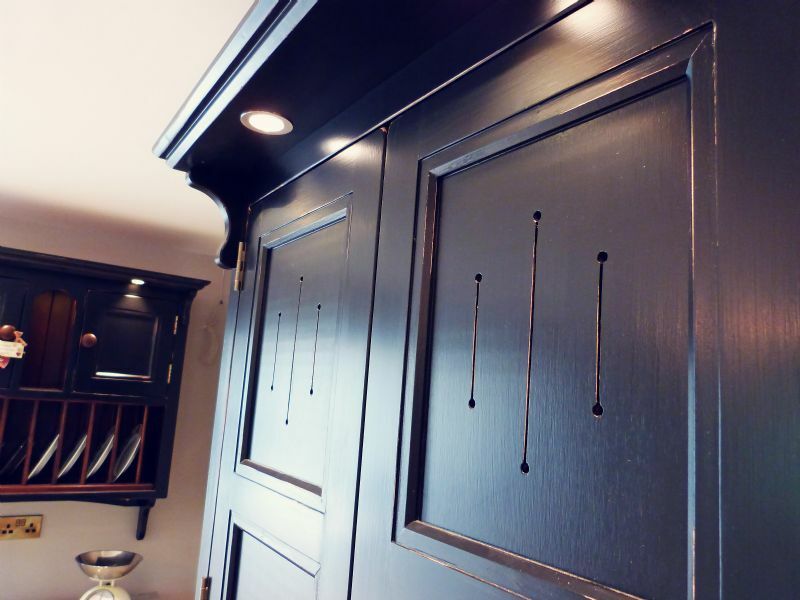 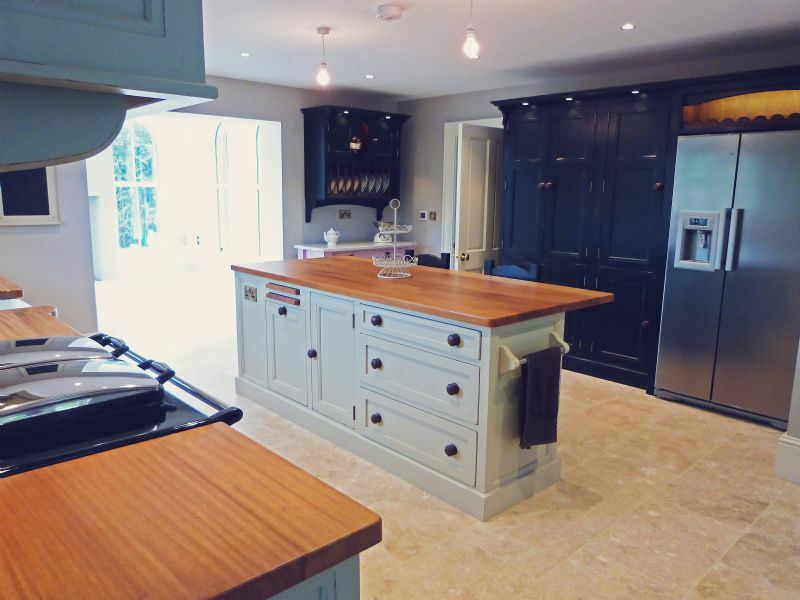 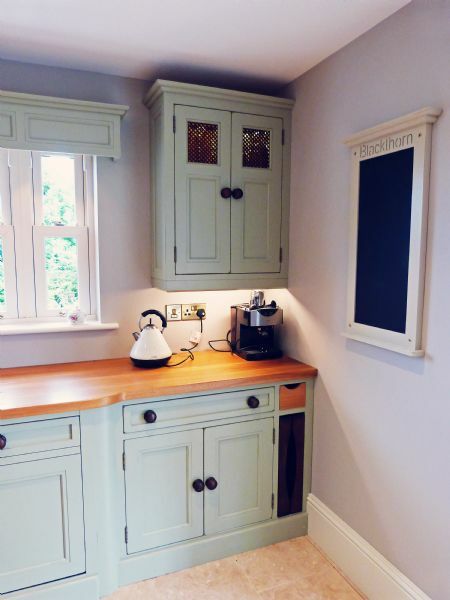 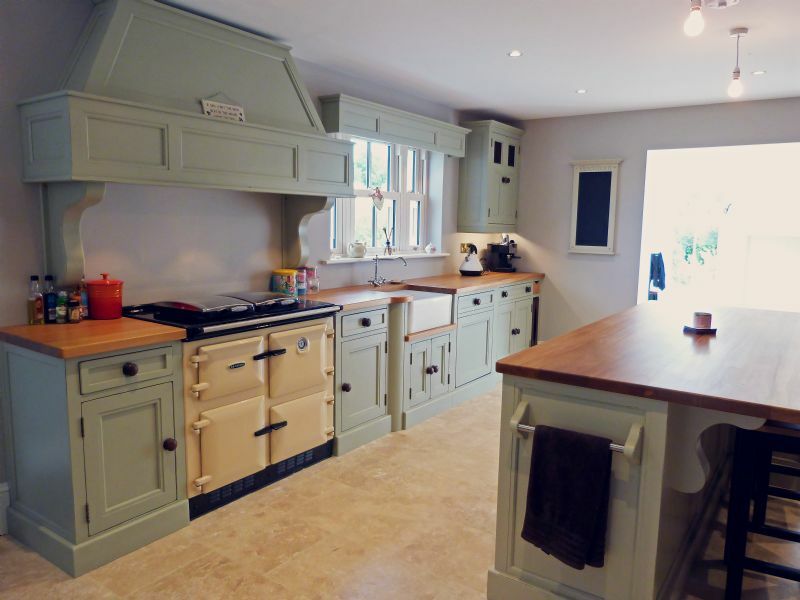 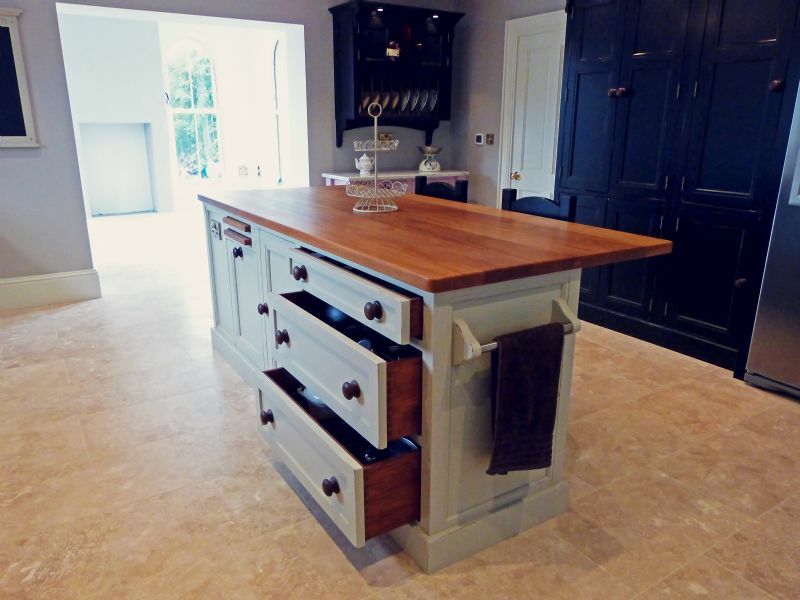 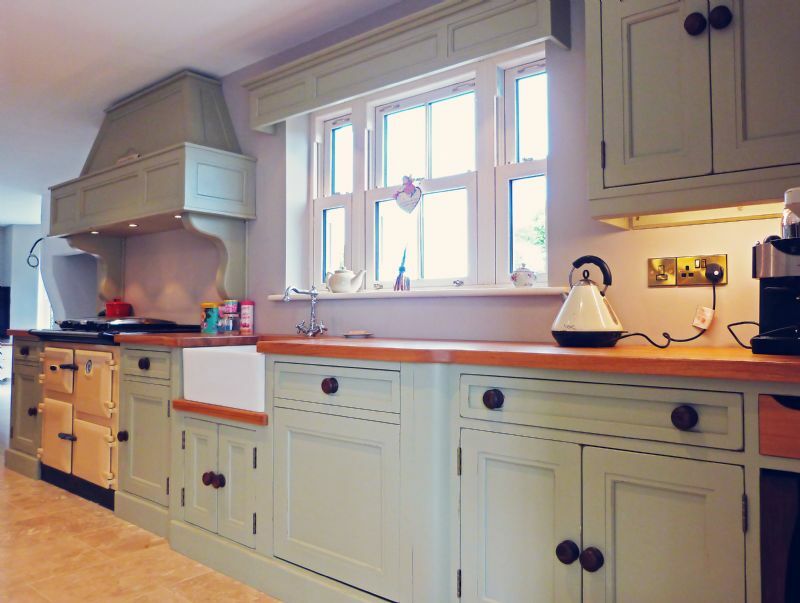 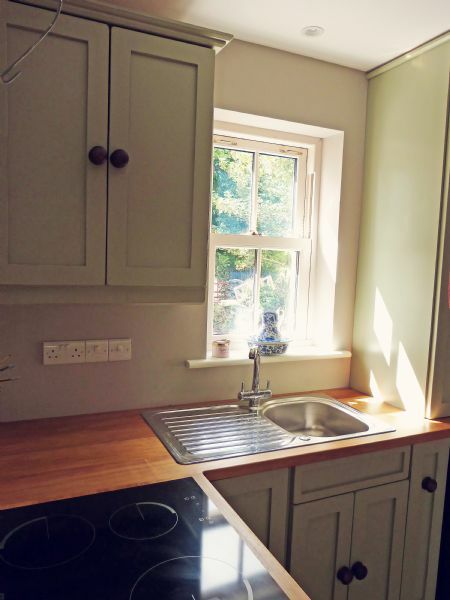 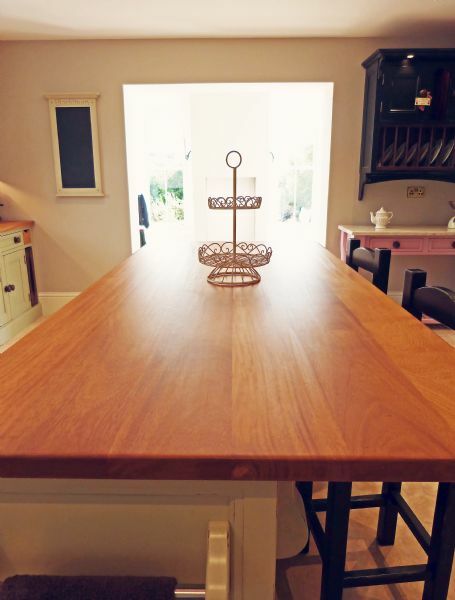 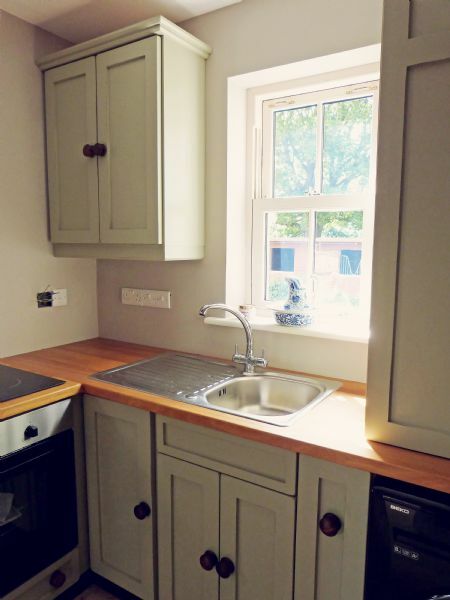 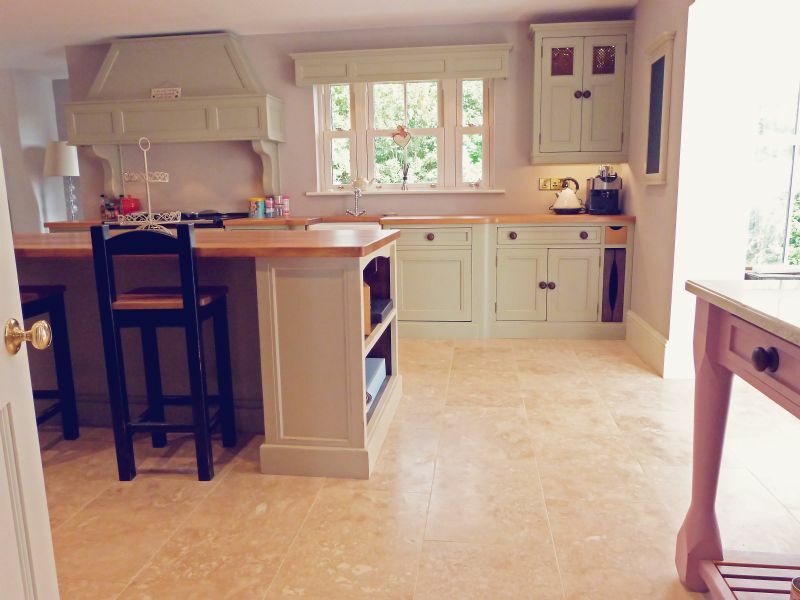 Julie & Rory wanted a kitchen with a traditional look that suited their lifestyle. 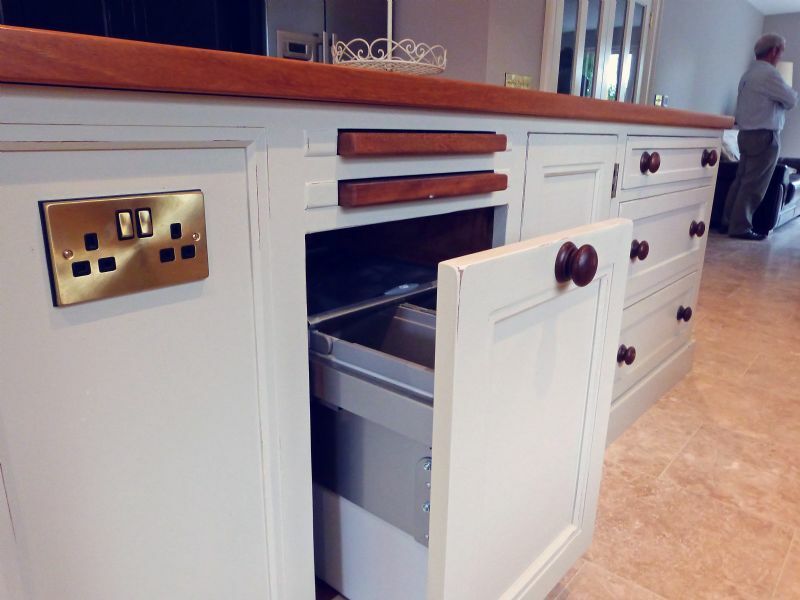 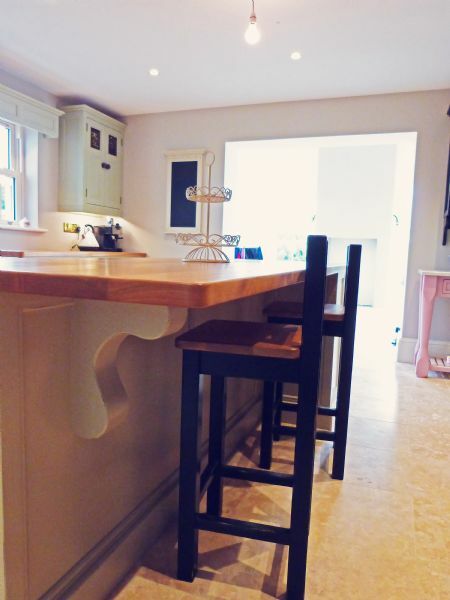 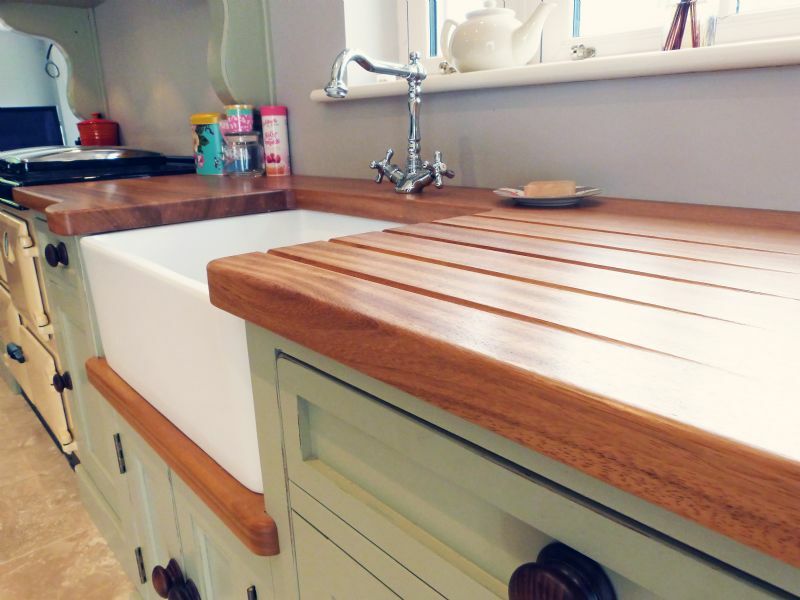 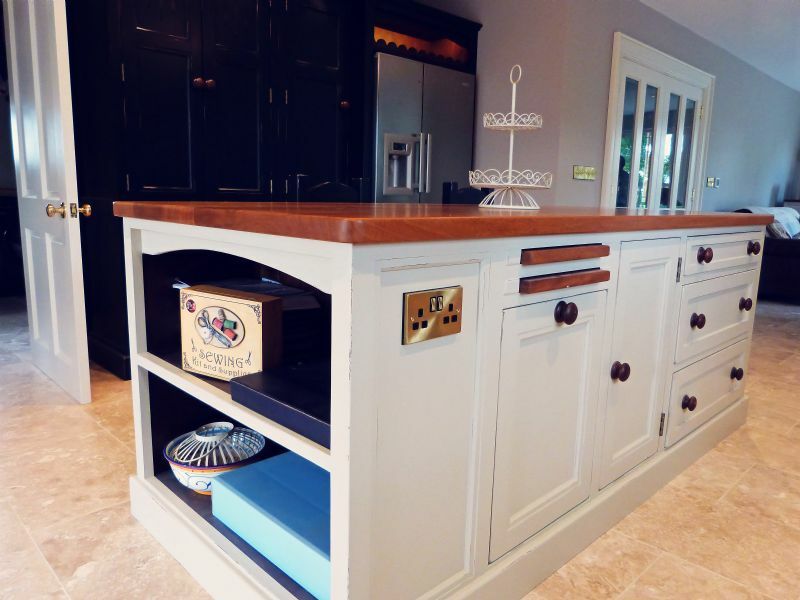 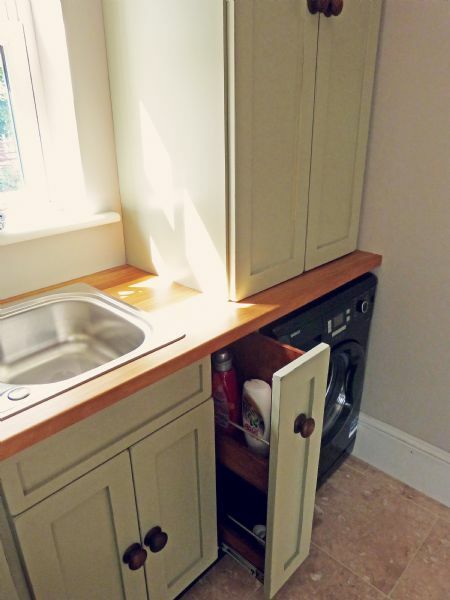 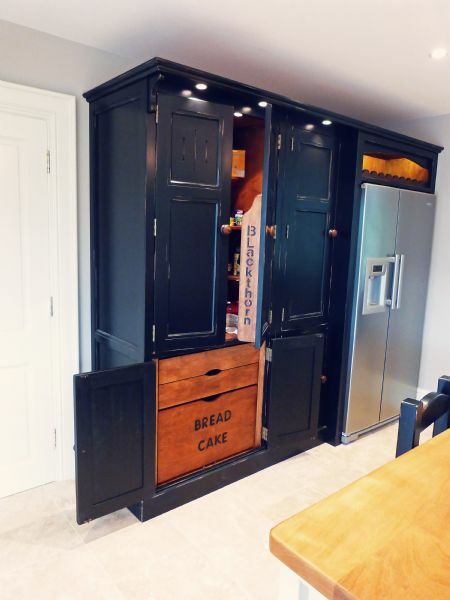 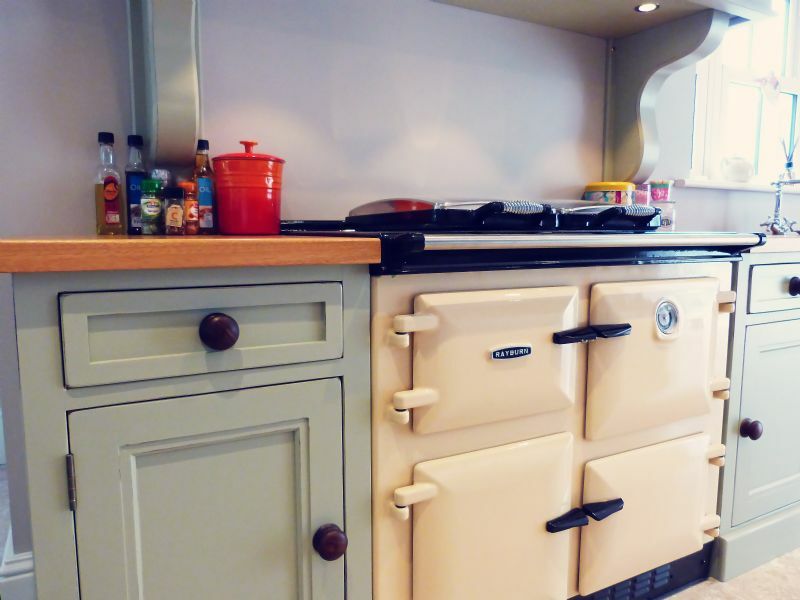 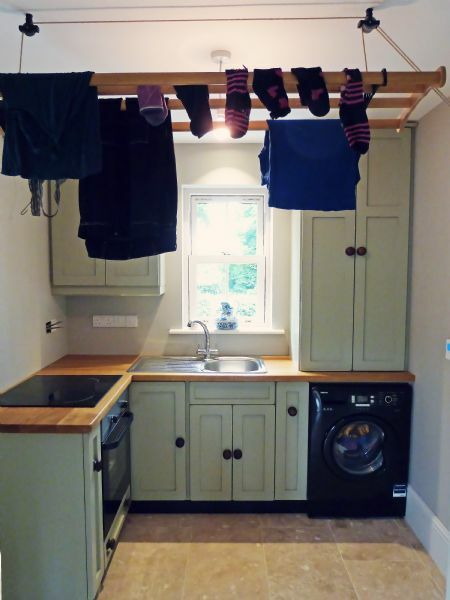 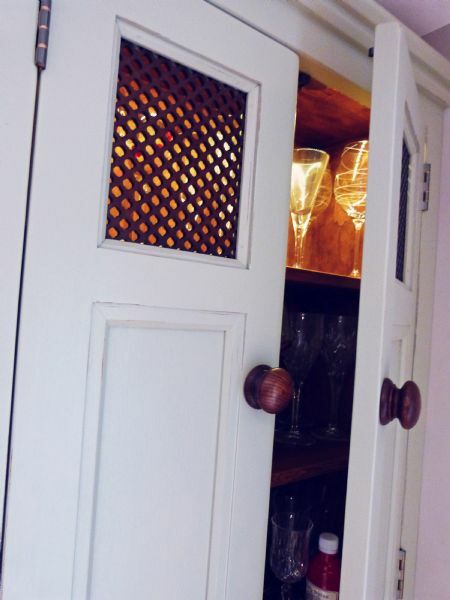 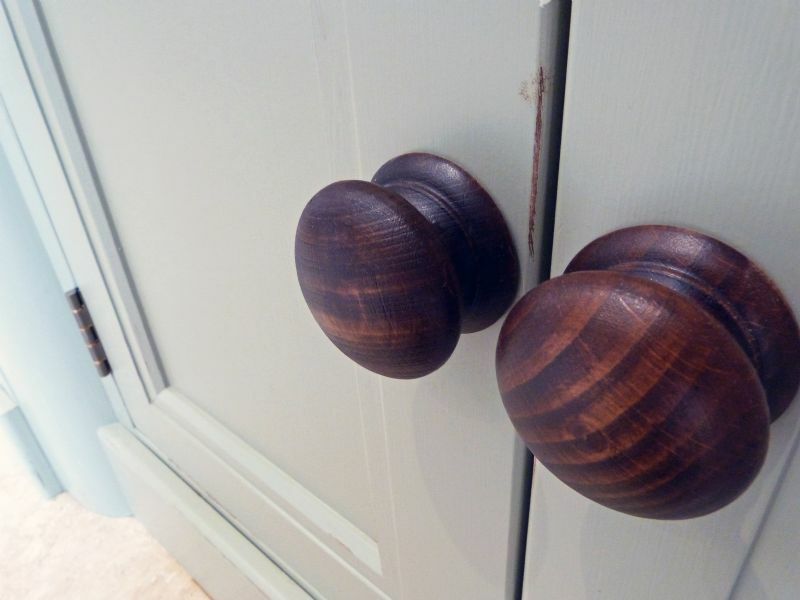 Julie wanted a beautiful kitchen to work in as she baked her delicious cakes and bread, and a variety of storage options was essential for Rory and Julie both. 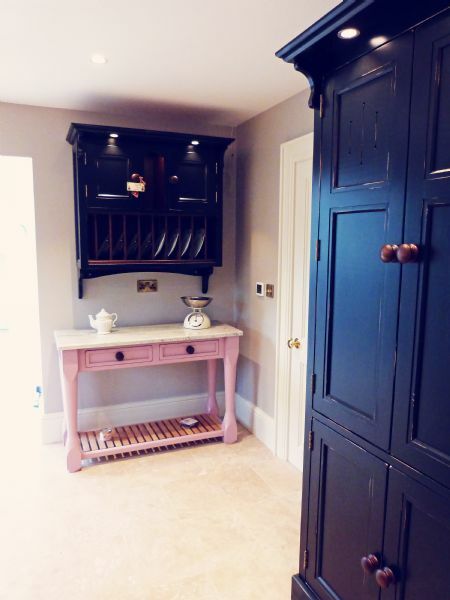 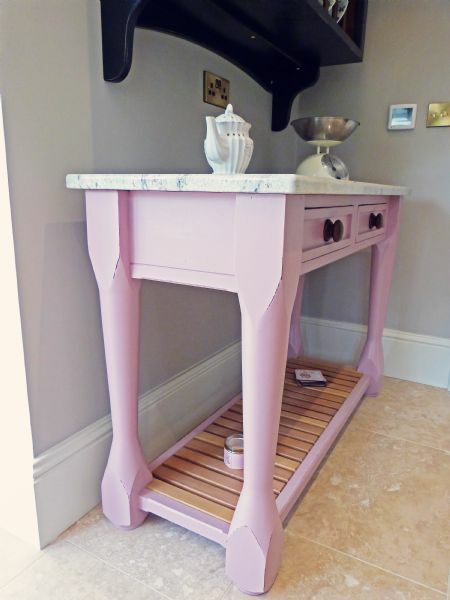 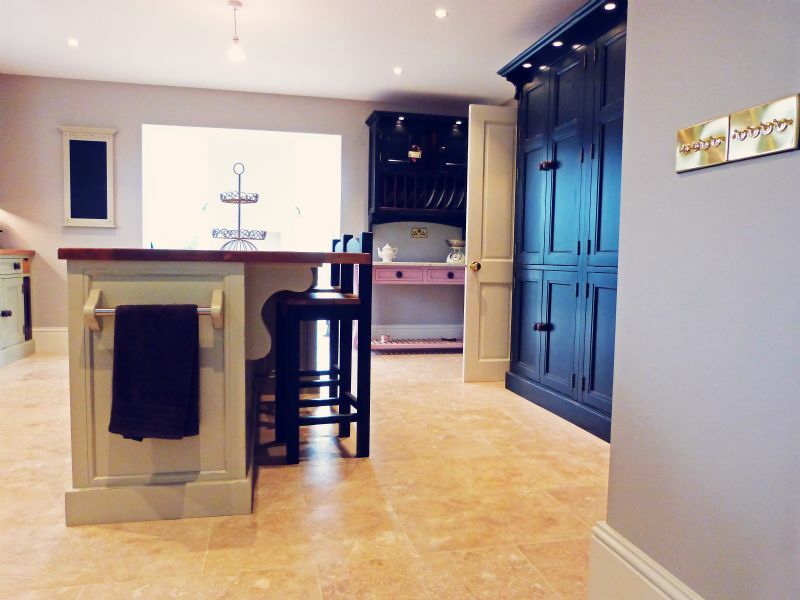 The main units are hand painted in Farrow & Ball French Gray, the island is painted in Farrow & Ball Stony Ground, the Victorian inspired plate rack and the larder units are both painted in a deep black with a wear-off treatment to give a matured look. 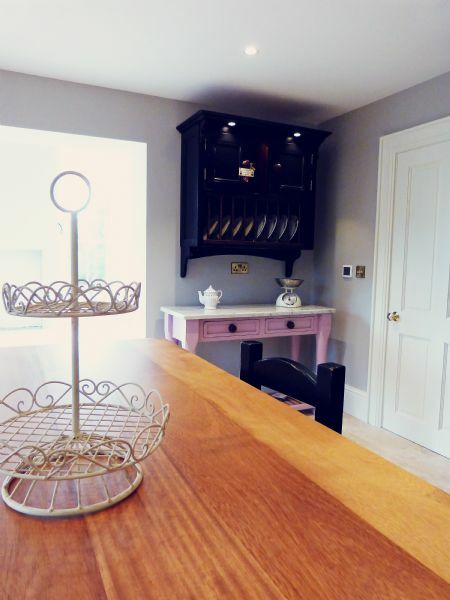 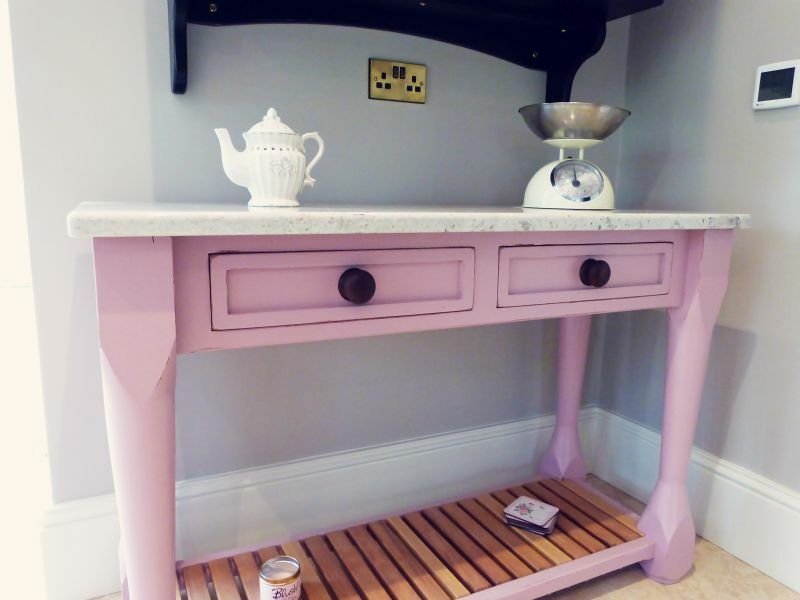 Farrow & Ball’s vivid Cinder Rose on the bake table below the plate rack adds a splash of colour to complete the traditionally eclectic look.